On August 11 and 13, unidentified hackers had stolen information of the bank's VISA and Rupay card customers through malware, attacked SWIFT system and siphoned off Rs total 94 crore. Two persons were arrested in connection with the Cosmos Bank cyber fraud case in which hackers allegedly siphoned off over Rs 94 crore through a malware attack on the bank's server in two days, police said Tuesday. "While investigating the domestic transactions, we arrested two persons yesterday from different places in the state. They were found involved in the fraudulent transactions," deputy commissioner of police (cyber and economic offence wing) Jyotipriya Singh said. 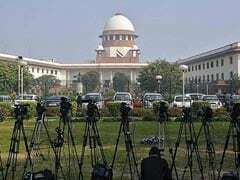 Jyotipriya Singh, under whose supervision the special investigation team (SIT) is probing the case, however, refused to divulge any further details about the suspects. "With these two arrests, we have received some crucial leads. However, I cannot reveal much information about them," she said. According to her, both the accused were produced before a court Tuesday, which remanded them to seven days of SIT custody. The hackers had attacked the banks' ATM switch server and withdrew a total Rs 78 crore from various ATMs in 28 countries and another Rs 2.5 crore was taken out within India. In another attack on August 13, hackers again fraudulently transferred Rs 13.92 crore in a Hong Kong-based bank using the proxy SWIFT system, police have said.